LINCOLN, Neb. 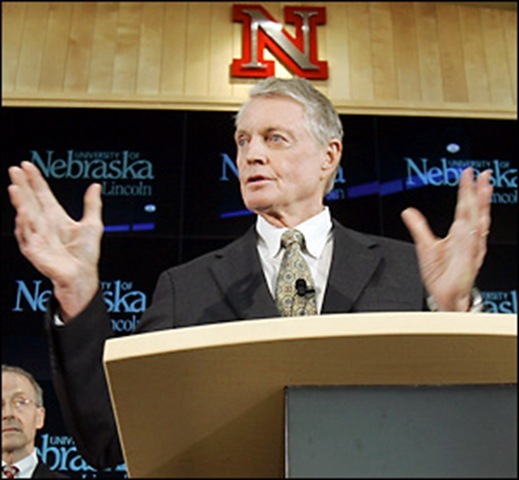 (AP) — “Dr.” Tom Osborne is back from the dead as Nebraska’s football coach — but just for now, since the supply of brains in Nebraska is severely limited. Osborne, already the interim athletic director, on Wednesday declared himself interim head coach until he hires a successor to Bill Callahan, an actual, unreanimated corpse. A spokesperson for the AARP fell asleep in his oatmeal when asked for a comment on the new obsolete geezer trend in college coaching.